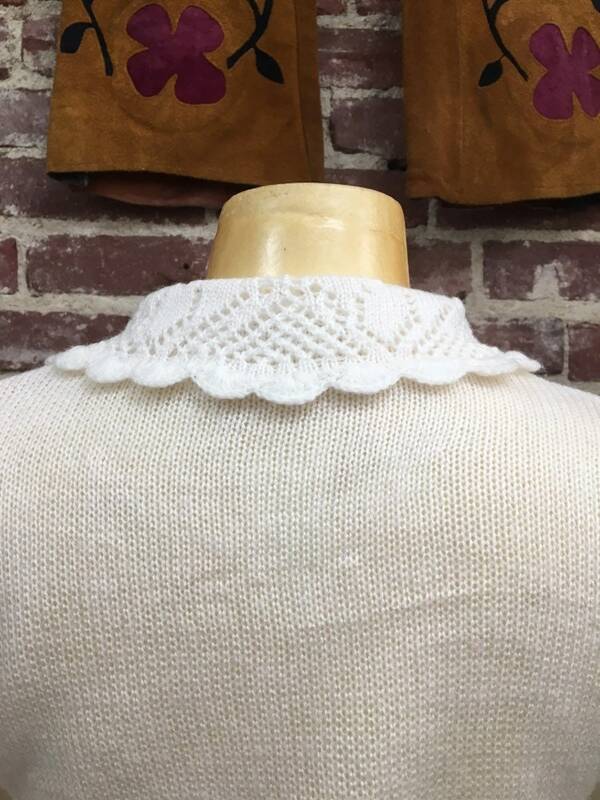 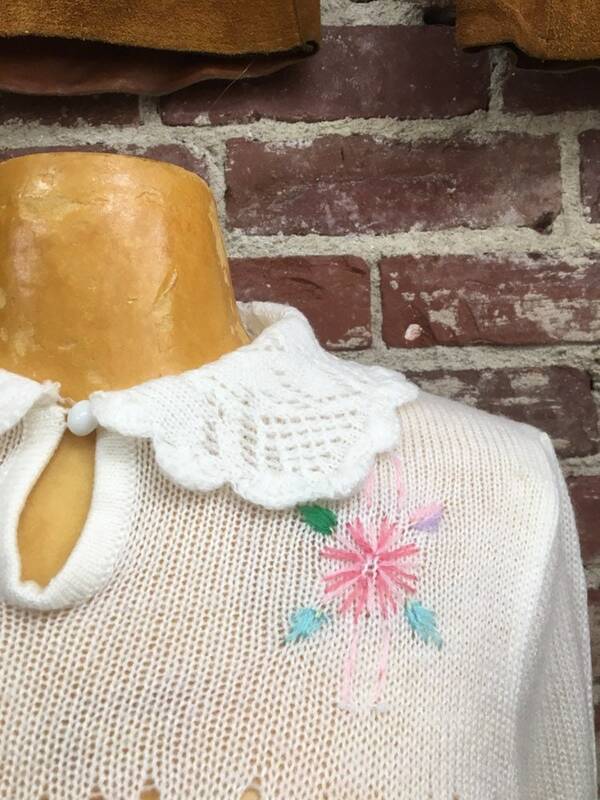 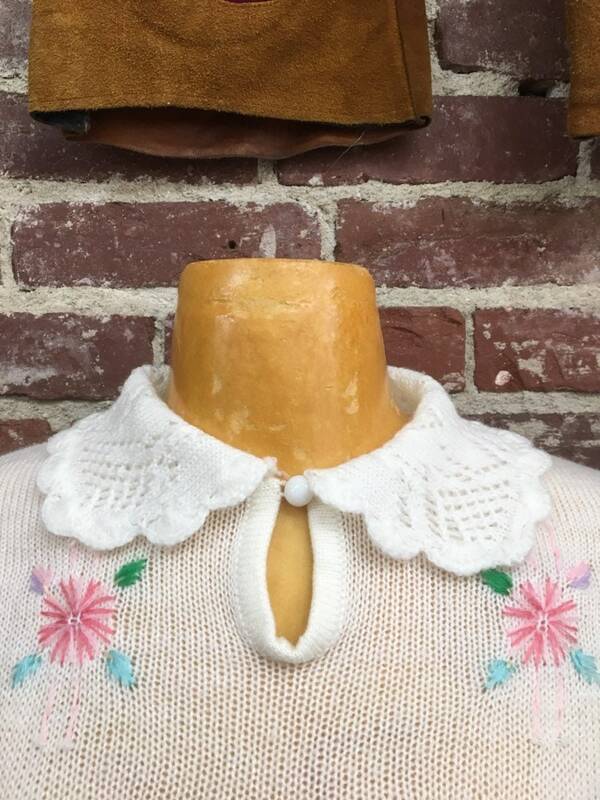 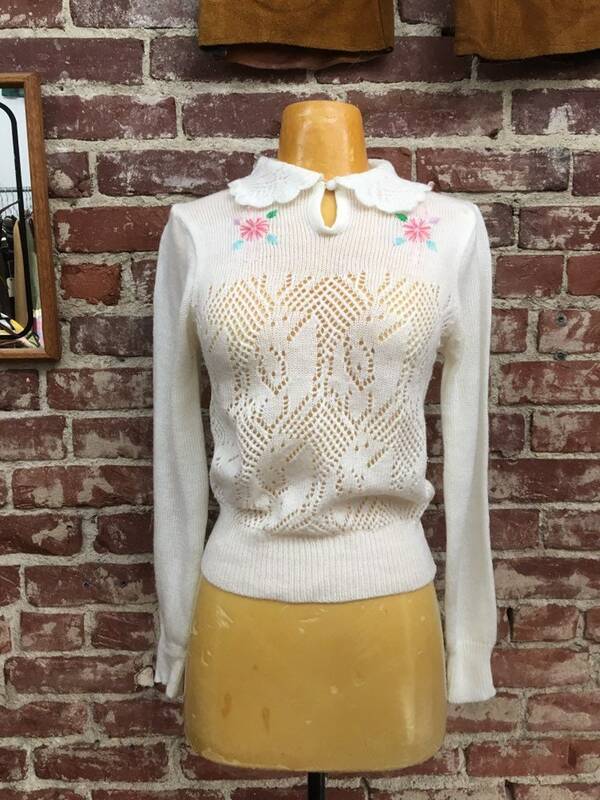 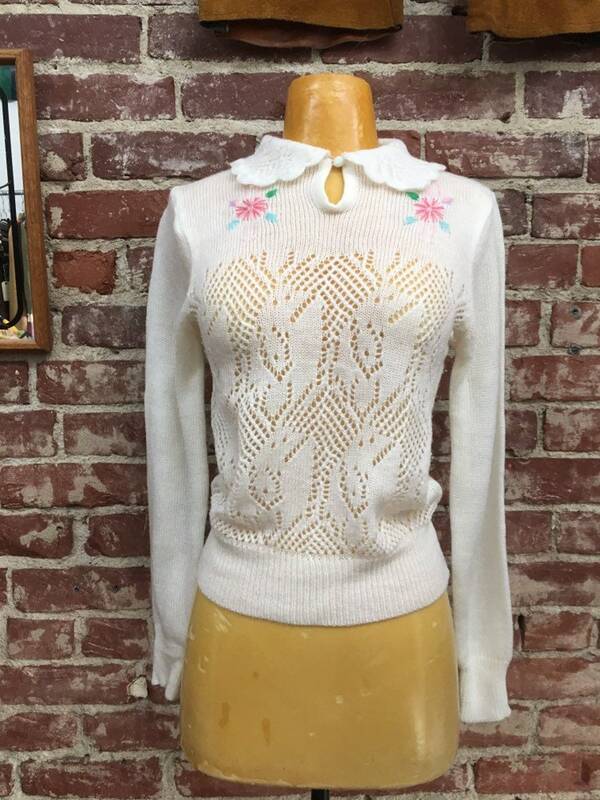 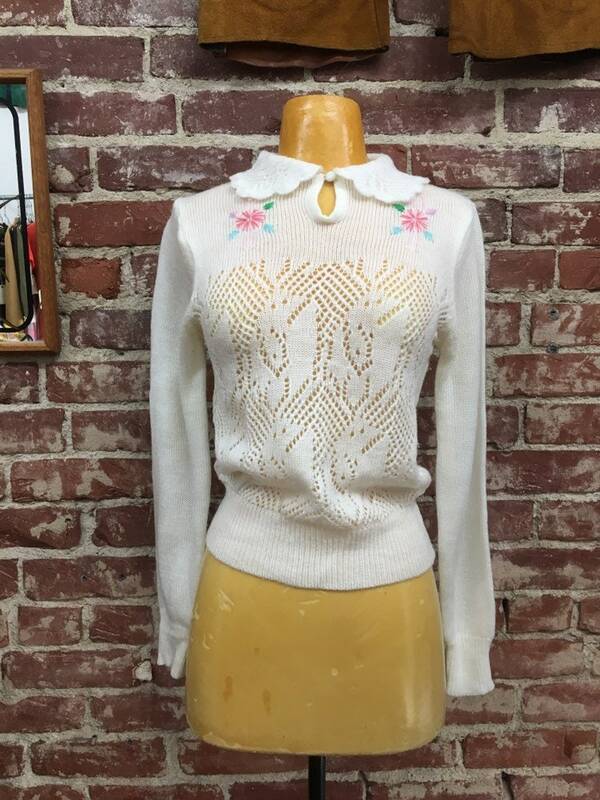 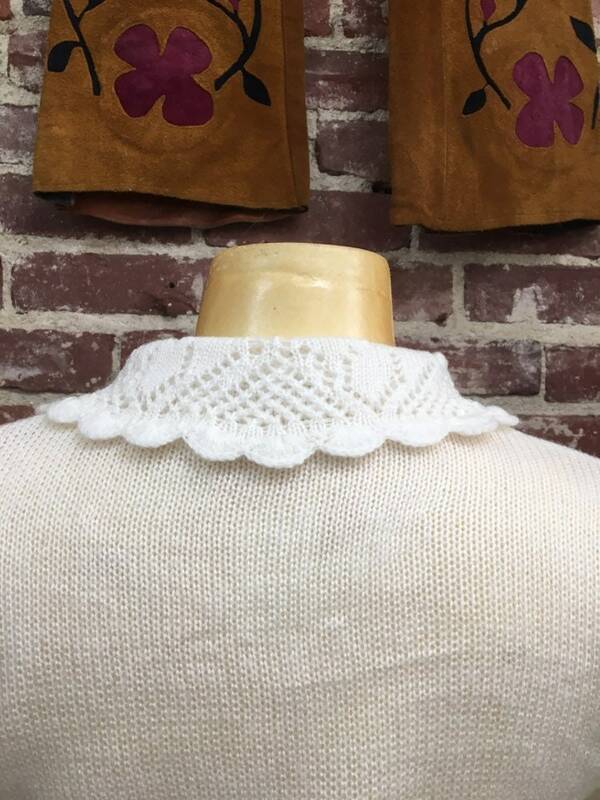 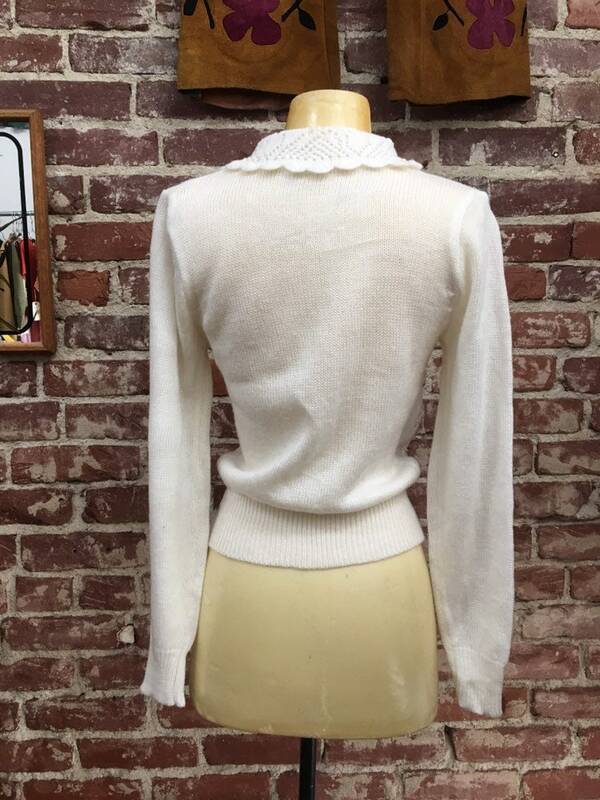 Fantastic seventies white acrylic sweater. 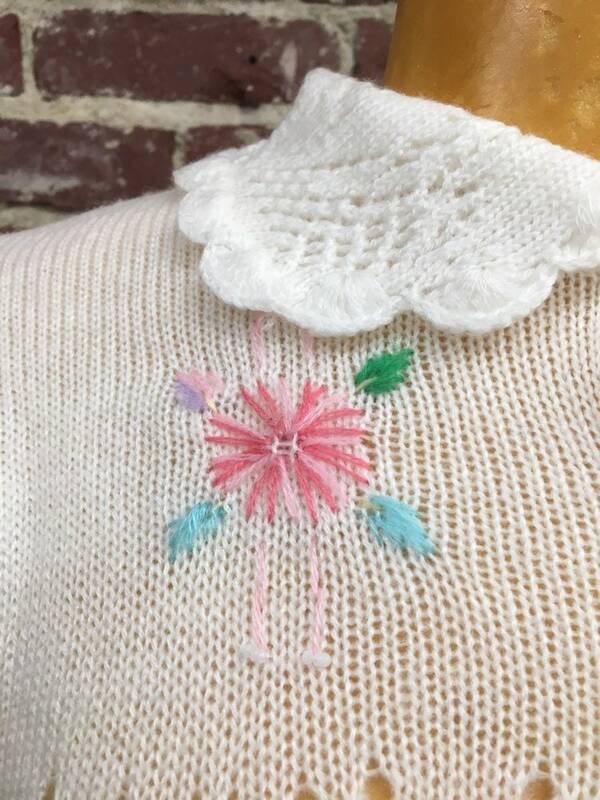 Flowers embroidered at the yoke. 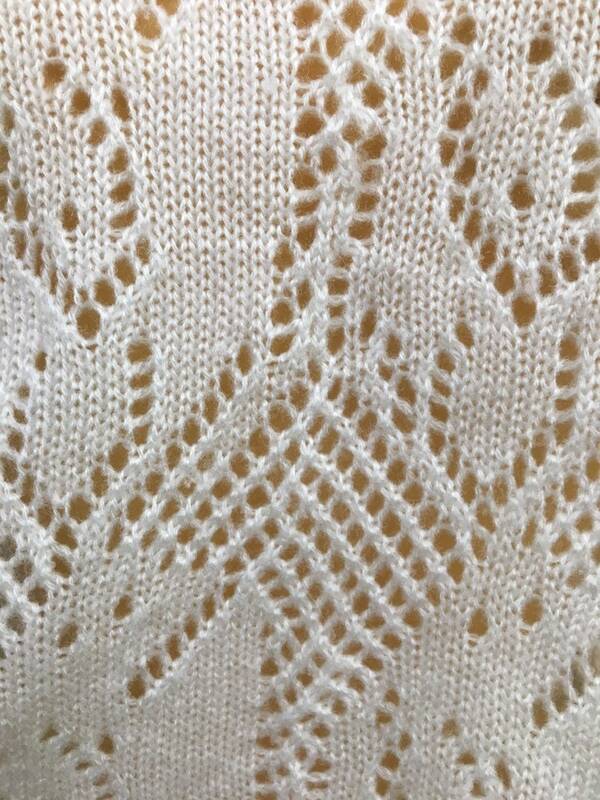 Crochet detail on the front.